This is a substantially expanded and completely revised verision of Bradshaw's classic account, first published in 1993. Traditional liturgical scholarship has generally been marked by an attempt to fit together the various pieces of evidence for the practice of early Christian worship in such a way as to suggest that a single, coherent line of evolution can be traced from the apostolic age to the fourth century. Bradshaw examines this methodology in the light of recent developments in Jewish liturgical scholarship, of current trends in New Testament studies, and of the nature of the source-documents themselves, and especially the ancient church orders. 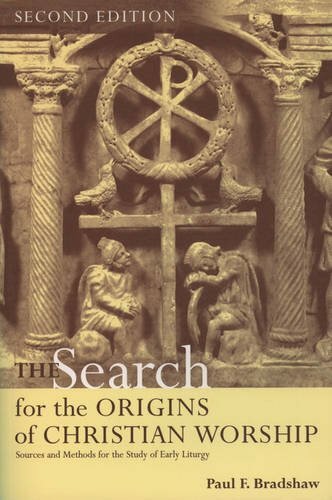 In its place he offers a guide to Christian liturgical origins which adopts a much more cautious approach, recognizing the limitations of what can truly be known, and takes seriously the clues pointing to the essentially variegated character of ancient Christian worship. View More In Church Institutions & Organizations. If you have any questions about this product by Oxford University Press, contact us by completing and submitting the form below. If you are looking for a specif part number, please include it with your message.